Can Gap, Michael Kors Retrain the Promotion, Discount-Expecting Consumer? Gap Inc. reported better-than-expected second-quarter results earlier this year and subsequently raised its full-year profit forecast. While its namesake brand’s same-store sales increased by 1 percent this quarter, the group of mall brands revealed that much of its growth comes in connection with “strong demand” for Old Navy products. The group also pointed to its increasing efforts to shun discounts and its attempts to better manage its inventory as contributing to such growth. And it is not alone. Michael Kors announced on Monday that thanks to fewer promotions in the second-quarter, it experienced “better than expected” results. As reported by WWD, John D. Idol, Michael Kors' chairman and chief executive officer, told analysts during a conference call on Monday that the brand will continue to focus on efforts to cut down on promotion activity. The strategy thus far, according to Idol, resulted in 40 percent fewer promotional days, which he said had a negative impact on comparable sales. The attempt by brands to move away from promotional activities and sales is no small feat, especially since consumers have come to down-right expect sales and promotions, in large part, thanks to department stores’ increasing dependence on sales over the past decade or so. Whether it be end of the season sales or special occasion ones (think: One-day sales, Singles’ Day, Black Friday, Veterans’ Day, Cyber Monday, Columbus Day, Back to School, etc. ), consumers have been trained to anticipate discounts and more-or-less shun products that are not subject to a mark down. This mark-down epidemic is truly widespread. Earlier this year, First Insight, a Pennsylvania-based retail business analytics firm, reported that retailers’ and brands’ practice of constant discounting has created a “sale fatigue” for consumers who rarely expect to pay full price for apparel and accessories anymore. In particular, the report, entitled, “Markdown Mania,” states that 45 percent of American women need to see a markdown of 41 percent or more to even enter a store. With their eyes on the long run, retailers – including Gap Inc. and Kors – are aiming to do away with the constant promotions and sales, a practice that has wreaked havoc on their bottom lines. The question is: With retail sales influx and fast fashion retailers and niche brands with strong brand identities that appeal to millennial shoppers dominating the market, how does a brand, like the Gap or Old Navy, draw in shoppers in lieu of discounting? Allen Questrom, the former CEO of J.C. Penney, who was credited with turning the company around in the early 2000’s (yes, J.C. Penney was once a thriving retailer), says that in addition to increased efficiency when it comes to inventory, retailers need to fill the void of incessant discounting. “Sales cannot be the only driver, it has to be a part of it. But product, presentation, excitement in the stores, the salespeople in terms of servicing the customer all need to be part of the value proposition for stores to succeed,” he said. In speaking to Retail Wire, Questrom pointed to Zara and Uniqlo – two of the market’s almost consistently revenue-growing brands – as two companies that have been able to drive business without relying primarily on sales to attract millennial shoppers to stores, whether online or brick-and-mortar. 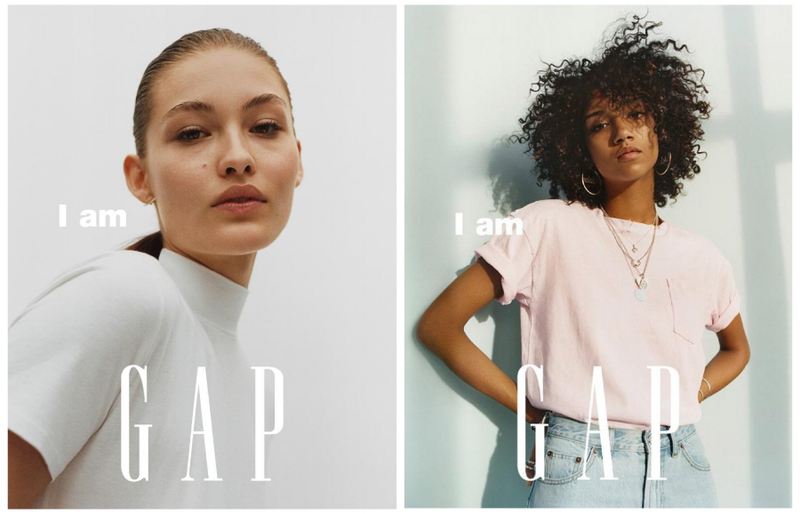 Specifically, Peck said that during his tenure this far, Gap Inc. has been able to cut the industry’s average development cycle of 10 months down to 8 to 10 weeks for many of its categories. This will enable the company to better compete with fast fashion retailers. Faster fashion is only one part of the puzzle, though. With it also comes the need for – and the increased ability to practice – better inventory management – something for which Zara is known – in order to avoid excess inventory and sales. With one-third of its products having the capability of being produced within the quarter, Gap, for instance, will be better able to manage its inventory levels to avoid over-ordering and having to sell products at a discount to make room for new merchandise. This is a proven tactic, with Zara, of course, leading the way. However, other retailers, such as Ralph Lauren and Urban Outfitters, have also reported benefits as they have moved to better manage their inventory. The way forward for retailers hoping to distance themselves from the trap of incessant discounting seems to consist of a mix of strategies with which we already well-acquainted and which have been the topic of much discussion to date. Providing better in-store/e-store experiences for consumers, tightly-edited inventories to both induce consumers to shop for fearing of missing out and to avoid excess inventory down the line, and expending a brand identity that millennials can get on board with (Brandy Melville is a good example of this) is the way forward. As for whether Gap Inc. and Michael Kors will be able to pull this off, they appear to be well on their way.